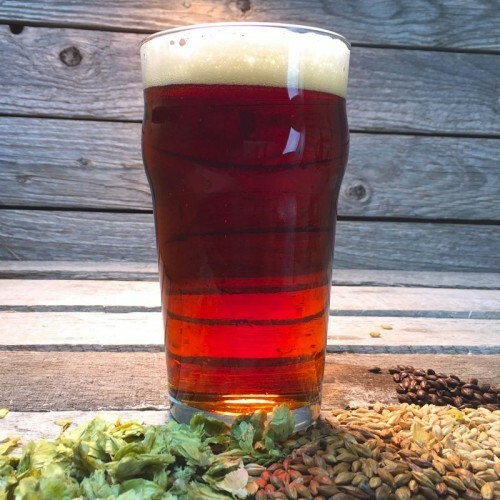 Outlaw Red IPA - Extract Beer Recipe Kit - Texas Brewing Inc.
An American IPA with a nice deep red color and an easy drinking hop profile. Outlaw Red IPA - Extract Beer Recipe Kit combines Ireks Pale malt with Weyermann Carared to give this IPA a nice rich red color. We pack in late hop additions of Warrior, Galaxy, Amarillo, and Mosaic to give this homebrew kit a nice full flavored hop flavor without too much over the top bitterness. Please note that since this kit is higher in alcohol, the dry yeast option defaults to 2 packs of yeast. You can change this manually. I named mine Red Dawn IPA after the original movie. I cut the recipe ink half, boiled 3 gal down to 2.5G. OG 1.094 and ended up with 2 Gal at 1.008 so 12.2% ABV went into one mini-keg, 1 liter, 2 pints and 2 12oz. I enjoyed my first with a burger off the grill. Again I will post the results from Oktoberfest party.